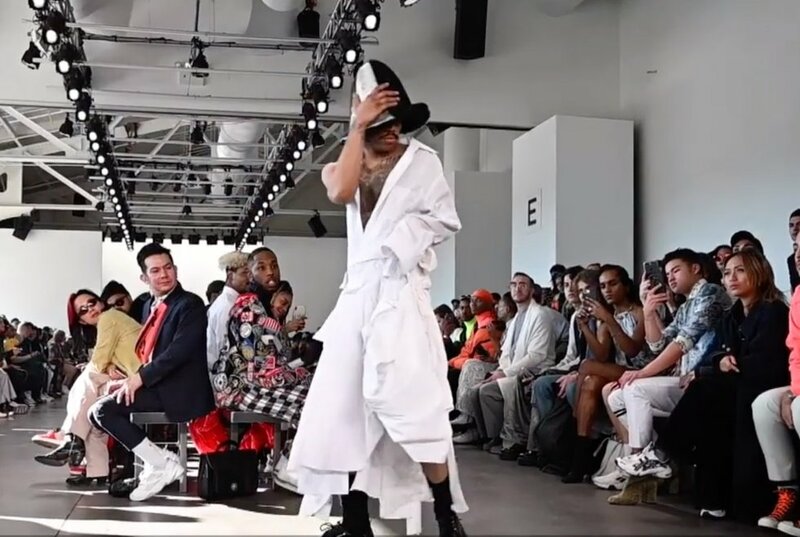 Pierre Davis has become the first openly transgender designer to present a non-gender clothing line at New York Fashion Week, Agence France-Presse reported. The 29-year-old designer from Los Angeles debuted the No Sesso brand Monday at Pier59 Studios in Chelsea. Davis reportedly describes the line as "agender." Launched in 2015, No Sesso translates as "no gender" in Italian. "The show is inspired by business wear and evoking the spirit of the Glamazon regardless of gender," she told the Council of Fashion Designers of America, according to AFP. Transgender models have regularly appeared at Fashion Week for the last several years. Davis, who was born as a man, doesn't want the line to be seen as a gimmick, the outlet reported. "I just want to show the work," Davis said. The collection featured a mix of dresses, vests and sports attire worn by men and women models. Davis hopes the clothes "will inspire people to be more community-minded and to realize not everything is just about aesthetics or commerce. It's also about humanity," AFP reported. It's important "that people of all intersectional identities are given a fighting chance regardless of their identity. The playing field isn't level in the world, and it is even more difficult in fashion," Davis added. Fashion Week started Monday with a focus on men's wear. Women's wear begins Thursday. Fans of the label include R&B artists Kelela and Erykah Badu, according to the report.